Bio: Nastashia brings to GSA extensive experience in leadership positions within both the Insurance Industry and Sports Administration. She holds qualifications in Allied Health, Personal Injury Management and formalised Training and Assessing. Nastashia’s critical and solution orientated thinking has helped fuel growth, innovation and excellence within her previous roles. Nastashia is a team oriented leader who values empowering and supporting those around her. Nastashia's personal experience with Gymnastics in South Australia and additionally with other state associations will be utilised to create ongoing community engagement and support. Bio: Chelsea comes from a gymnastics background and 10 years’ experience working in the Recreation and Fitness Industry, having completed a Bachelor of Applied Science in Recreation Planning and Management and Certificate 3 in Fitness. Her passion for the industry is evident through her approachable and friendly manner. Bio: Danielle brings to GSA 20 years of experience in Finance and Administrative positions within the not-for-profit sector. She holds a Bachelor of Accounting and is in the final stages of her CPA qualification. Danielle has a strong commitment to superior customer service and continuous improvement and thrives in a small team environment, enjoying herself and the company of her colleagues at work. Bio: Rebekah is a passionate and dynamic marketer and brings to GSA well over a decade of experience working with iconic South Australian brands. She is a results oriented, outcome focussed ‘people person’ who leads by example. Rebekah holds a Bachelor of Management (Marketing) degree, and has extensive experience in developing and implementing strategic marketing campaigns and a strong interest in digital marketing. 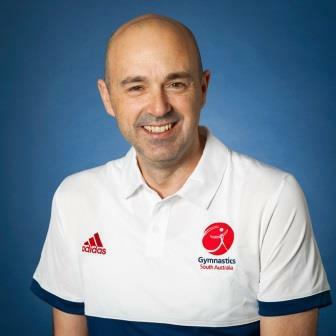 Bio: Darrin comes to Gymnastics SA as a small business owner, and a volunteer coordinator for Triathlon SA. Darrin is a senior Technical Official with Triathlon Australia, with experience at national and international events. With a wife and two girls, sport is embedded in the household with swimming, softball and trampoline (and cycling and running when there’s time). In his spare time he is completing a Bachelor of Business (Sports Management) at Deakin University. Bio: Thamsin comes to Gymnastics SA after completing her Bachelor of Business (Sport and Recreation Management) at University of South Australia. She is additionally a qualified Kindergym coach and her working background originates from the YMCA (Marion Leisure and Fitness Centre & Glengowrie) and Netball. Her bubbly and friendly personality will be a great asset to the organisation. Bio: Tammy is an energetic and dynamic presenter, assessor, moderator, coach and therapist, with many years of experience in Gymnastics & Science. She has presented over 20 Academies for the International Gymnastics Federation (FIG) around the world in various Gymsports. She was a gymnast on the National Team for South Africa in Artistic Gymnastics and Aerobic Gymnastics and was a finalist in several World Championship events for Aerobic Gymnastics. 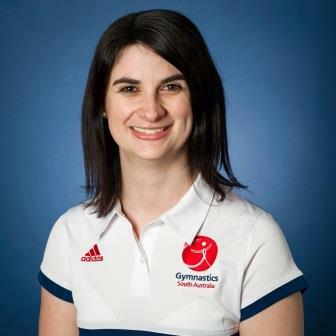 She is currently on the International Gymnastics Federation (FIG) Working Group for Aerobic Gymnastics. Bio: Brenton is a current Advanced MAG, WAG, GfA and Tumbling coach and also presents in the TeamGym and Free G workshops. Brenton is one of our current presenter and assessors and travels interstate often to share his knowledge and is very enthusiastic about helping and growing our current and new coaches and clubs. Bio: Joel comes from a gymnastics background of 20+ years in NT and SA. He is currently studying a Bachelor of Exercise & Sport Science. Joel is currently an Advanced MAG Coach and MAG Intermediate Bronze Judge, and is undertaking his Presenter & Assessor accreditation. Bio: Raelene has been involved in gymnastics since the late 1990's when her husband and two children joined their local club. Raelene was pivotal in establishing the KinderGym at Henley Beach and has been involved in the University of South Australia KinderGym Project for 10 years. Her passion for KinderGym is demonstrated by receiving the Horrie Riddle Scholarship, KinderGym Leader of the Year for both South Australia and National and Life Membership of GSA. Raelene has a KinderGym Advanced plus GFA Intermediate accreditation and is a Course Presenter.